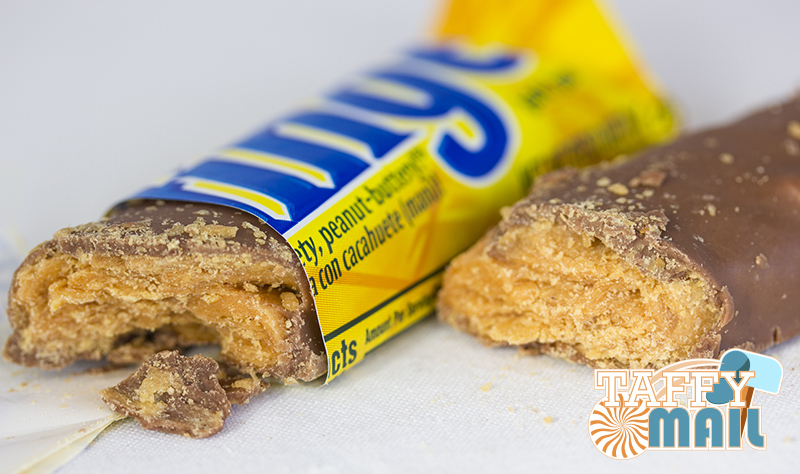 From its creation to today, the Butterfinger remains a popular American candy bar. Created by one company and now produced by another, here are some rather interesting facts about the delicious candy! Chocolate-covered with a crunchy peanut-butter and caramel-flavoured centre, this mix of crunchy mouth-drooling goodness first came out in 1923. The Curtiss Candy Company of Chicago came up with the idea for these golden-centred American sweets but how did the name come about? It was all part of a publicity stunt. The Curtiss Candy Company held a competition to name the Butterfinger bar, all in the aid of gaining interest for the candy. The expression ‘butter fingers’ was used to refer to sportspeople, mainly baseball players, who would drop the ball as if their hands were covered in butter. It has now since become a more generalised saying for anyone who drops something. The name is quite apt however, due to the delectable buttery-flavour. The Curtiss Candy Company, which owned the Butterfinger bar sold it along with the Baby Ruth candy bar in 1990 to Nestlé. Since then, Nestlé have spent a lot of time and money on advertising and promotional efforts to make the Butterfinger more modern compared to the bar when it was first released in 1923. The original Butterfinger has since come a long way. Other versions include the Butterfinger crisp bar, which has cookie wafers with a peanut butter filing in between the layers and covered in chocolate (think Blue Ribbon). Butterfinger Cups, just like Reese’s Peanut Butter Cups. Tiny balls of candy called Butterfinger Mini Bites. Ice cream and cookie mixes to name but just a few. To cash in on the energy drink market, a version of the Butterfinger was turned into an energy candy bar. With an extra dose of caffeine, Butterfinger Buzz came out in 2009 with a limited distribution. Advertising for the Butterfinger bar came with the help from The Simpson’s. From 1990 to 2001, The Simpsons helped launch many slogans for the candy bar including the most well-known ‘nobody better lay a finger on my Butterfinger’. When the contract between Nestlé and The Simpsons was terminated, the show made fun of the candy bar in one episode but soon made up in 2009 when The Simpsons aired another ad for the Butterfinger. In 2008, Nestlé ran an April Fool’s advertising campaign changing the name of the Butterfinger to ‘The Finger’. To back up the claim, American store chain 7-Eleven gave away free Butterfinger bars wrapped in ‘The Finger’ wrappers to over 200,000 people. What do you think of the Butterfinger? Do you love the golden-centered delicious candy bar or loath them? If you’ve yet to have one, subscribe to Taffy Mail today and maybe a Butterfinger could be included in your next box! 5 EPIC Ice Cream Sandwiches You HAVE To Make!